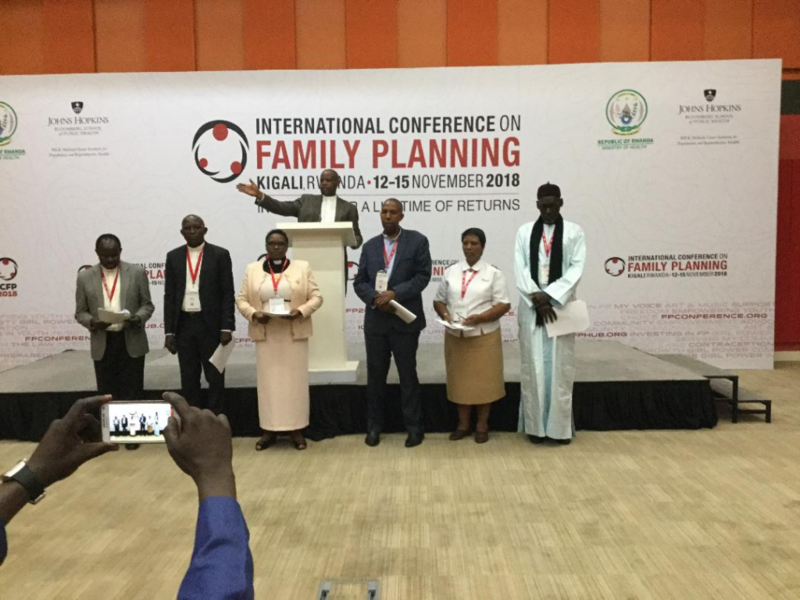 Faith leaders from different traditions and backgrounds pledged commitment for maintaining family wellbeing during the International Conference on Family Planning held from November 12-15, 2018 in Kigali, Rwanda. According to Christian Connections for International Health, co-organizer of the Faith and Family Planning track, there were 22 posters related to faith and family planning, at least six panel sessions, a full-day workshop on faith-based family planning advocacy, an interfaith prayer service, a faith celebration, four lunch roundtable discussions and two Facebook Live sessions focusing on faith communities and family planning. 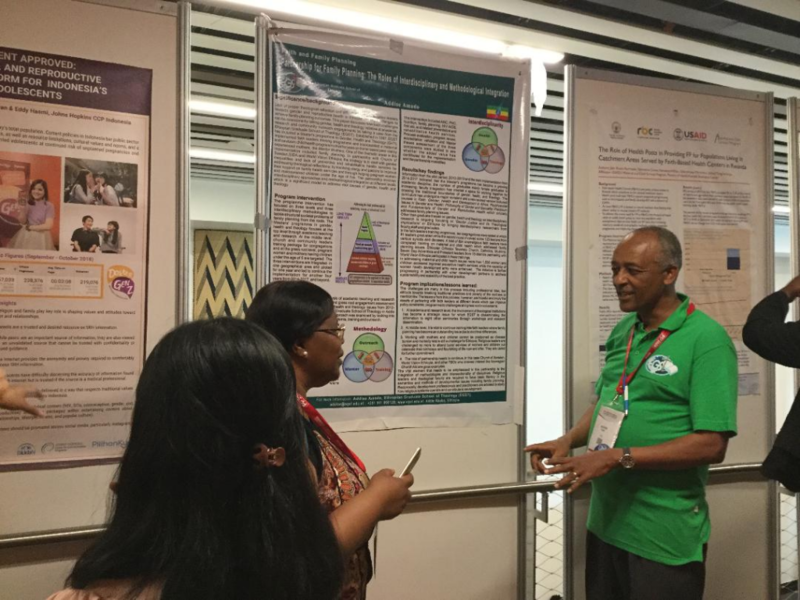 EGST was represented by Head of Development and Communications and Community Outreach Project Officer to present the experiences of EGST in a poster session, advocacy workshop, interfaith prayer session and side meetings with Church of Sweden delegates and African partners. We, the faith community recognize that life is a gift from God and is sacred. It ought not to be taken away by preventable causes resulting from lack of information, support and care. We are mindful of those who have lost their lives while giving life and the challenges along the path of providing family planning to our communities. We are thankful for health services that reach people in need and increase availability of low-cost services offered by faith facilities; we cherish religious leaders who openly support access to sexual and reproductive health services; for increasing collaboration between governments and faith communities in providing quality and accessible services. We acknowledge that increased uptake in family planning has reduced maternal mortality and child mortality; we commend the youth that are in school and those that are contributing to vibrant economies in their countries. ⦁ We have learned about the power and success of faith-based organizations and religious leaders in contributing to the achievement of the Sustainable Development Goals (SDGs) in collaboration with other stakeholders. 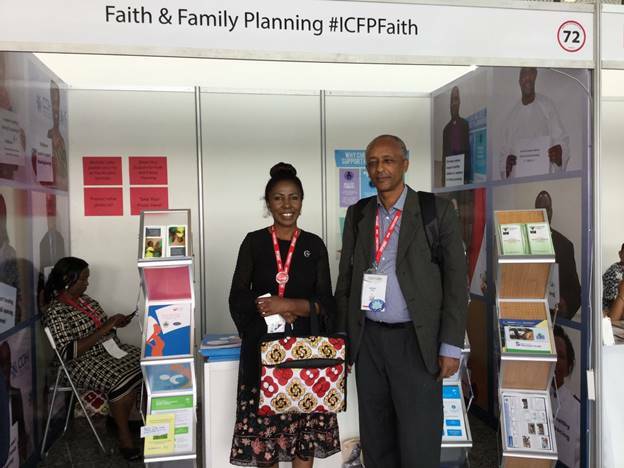 ⦁ We have learned of the many opportunities that exist in achieving greater access to and uptake of family planning and look forward to the ways the faith community can continue to shape the family planning agenda, until and after 2020. ⦁ We have acquired skills and knowledge that will help accelerate the faith communities’ actions at national, regional, and community levels. ⦁ We commit to continuing to provide and support quality family planning education, service delivery, and referrals to all communities. 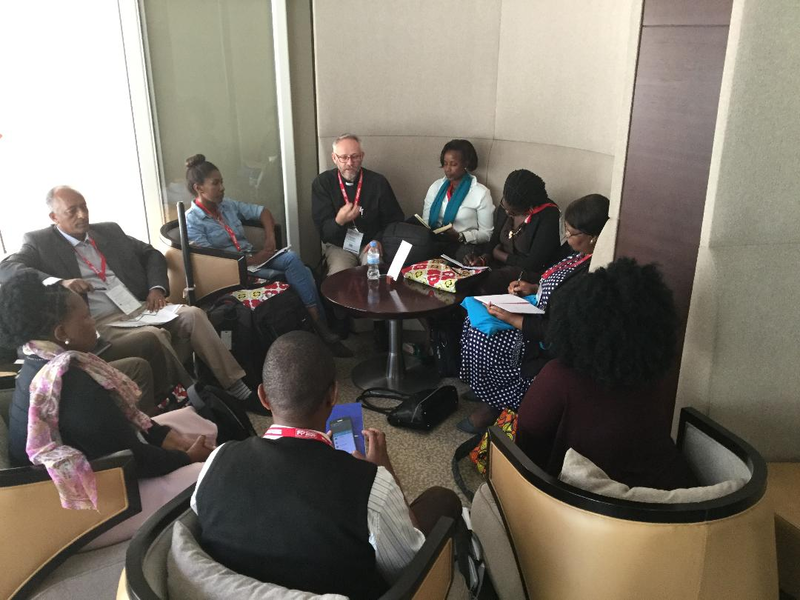 ⦁ We commit to advocate, sensitize, mobilize and partner with governments, traditional and other religious leaders, and stakeholders to enact policies that address lack of access to services due to distances, cost, lack of trained personnel, and insecurity. We commit to advocate for religious leaders to address the unique issues that affect our youth in family planning. ⦁ We have been encouraged again that we can gather many faiths together and agree on a common agenda while maintaining the integrity of our faith in serving others. We ask other delegates to commit to engaging with us and we commit to engaging with you. Thank you for this opportunity to share our commitments with you, as we all work to ensure all our communities survive and thrive. The International Conference on Family Planning is one of the largest health conferences that takes place every two years. EGST has participated and contributed in 2013 in Addis Ababa and in 2016 in Dua, Indonesia in 2016.